Monitor ongoing efforts to improve air quality in Texas and review development and mplementation of the State Implementation Plan. Examine the effectiveness of the Low Income Vehicle Repair and Assistance Program and the Texas Emissions Reduction Program. Identify areas of the state where surface or groundwater was contaminated by petroleum operations. Determine the appropriate regulatory and technical requirements to remediate the contamination and prevent future contamination, and recommend appropriate agency jurisdiction for preventing, responding and remediating such incidents. Study the increasing use of liquefied natural gas (LNG), compressed natural gas (CNG) and propane. Examine the way those products fit into a diverse fuel mix. Review the current status of LNG terminals on the Texas coast. Study mineral owners and surface owners rights and obligations for the manner in which they enter and use property. Make recommendations on ways in which surface and mineral owners could communicate more effectively. 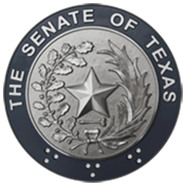 Monitor the Railroad Commission study of competition in the Texas natural gas pipeline industry. Review current regulations regarding landfills and sewer plants. Study areas of the state to determine where and why there may be significant concentration of these facilities in a particular area/region of the state. Examine siting procedures, notice requirements, and the implementation of TCEQ rules. Study and make recommendations relating to investment needs and economic barriers to developing bio-diesel, bio-fuels, ethanol, and other renewable products in Texas. Compare agriculturally-developed renewable fuel initiatives in other states. Study the permitting exemptions and water well regulations in Sec. 36.117, Water Code. Review the jurisdiction over the regulation of groundwater pumping in conjunction with drilling and production of oil and gas. Review mineral owners and surface owners rights and obligations for the manner in which they enter and use property. Make recommendations on ways in which surface and mineral owners could communicate more effectively.